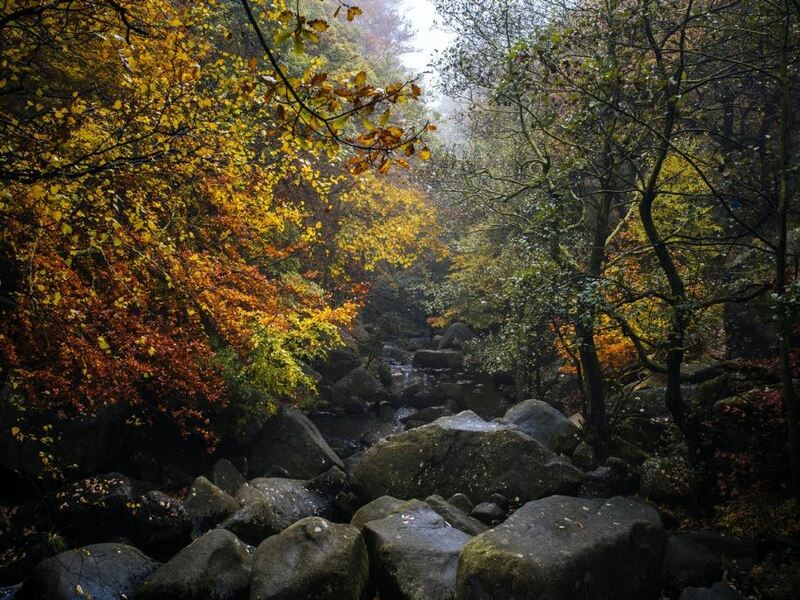 A fantastic hike starting from the beautiful Longshaw estate, following a bustling brook through the Burbage Valley to the village of Grindleford, and finally walking you back through the Yarncliffe Wood. Family friendly. 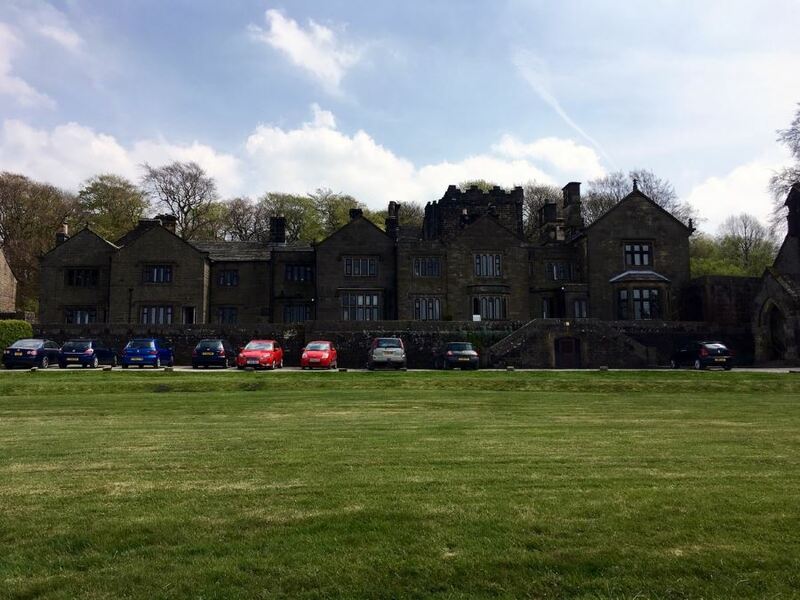 Starting Point is Longshaw Estate. 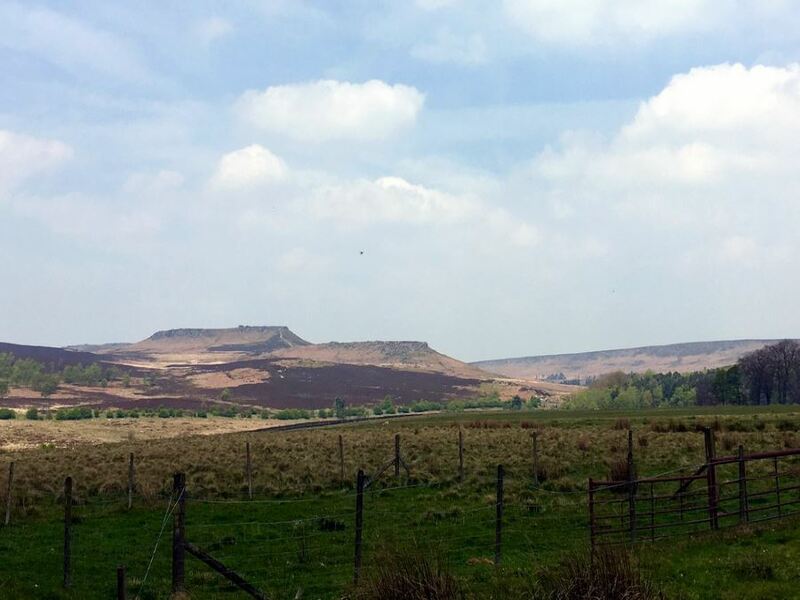 For drivers, access is via the A6187 between Sheffield and Hathersage. Follow the brown signs from the Fox House to the Woodcroft car park( Pay and Display). 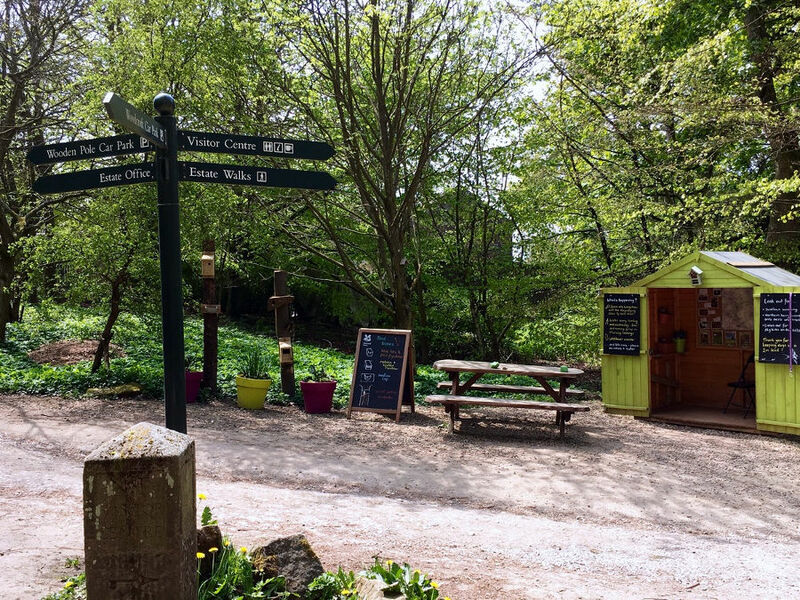 From the main Woodcroft car park, follow the signs to the Estates National Trust tearoom and the beginning of the hike. Follow the path left and through a small gate then take the right fork in the direction of the estates pond. Curve right around the pond and then continue slightly downhill into Granby Wood. You will emerge at a stone barn (Granby Barn) by a road (B6521). Carefully cross the road and make your way through the small gate straight opposite. Descend down the path keeping slightly right and cross the wooden bridge over Burbage Brook. 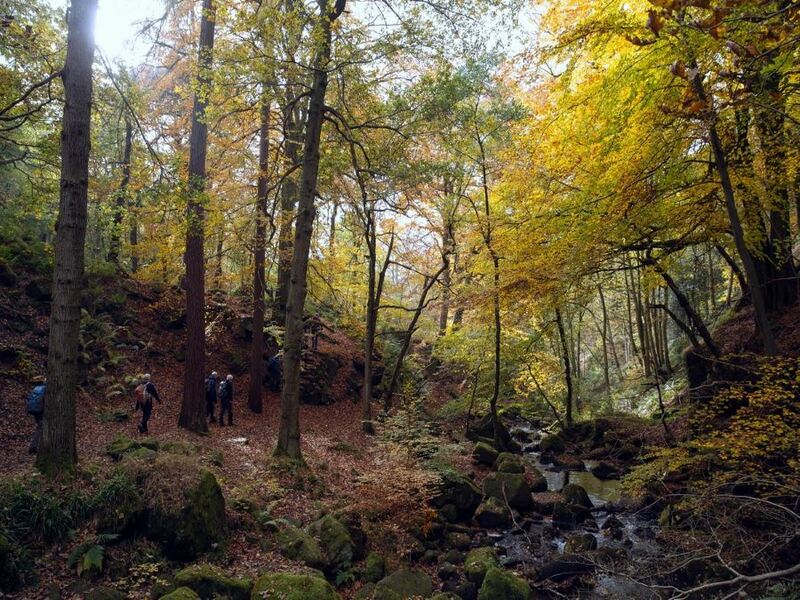 Immediately turn left and follow the path parallel to the brook as it descends into Padley Gorge. The path stays on the right hand side of the brook all the way to the bottom of the Gorge when you reach another wooden bridge. Cross and continue along the footpath to the Totley Tunnel and Grindleford Station. 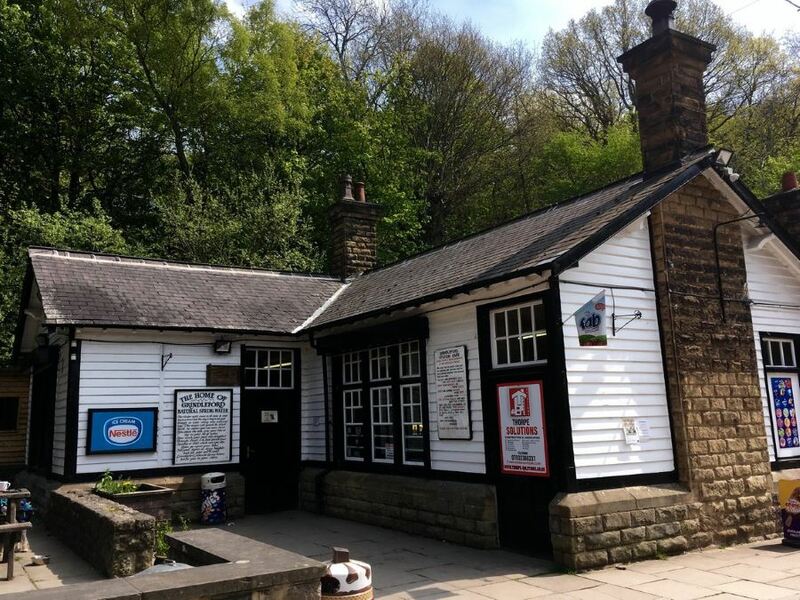 At 5.6km long the Totley Tunnel is one of the longest in the country! At this point you can choose cross over the railway bridge and have a break at the Old Grindleford Station Cafe or continue on your hike. On the return, follow along the brook until you see the path fork right uphill. 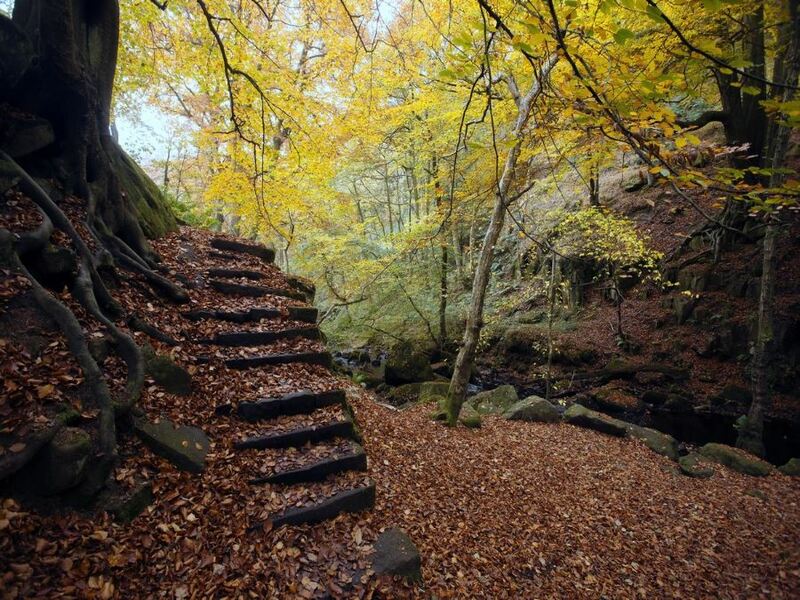 Follow this pleasant track through Yarncliffe Wood until it emerges at the B6521 again, by an old disused quarry, often used for training climbers. Go around the right hand side of the Quarry basin until you reach the top and the edge of Granby Wood. 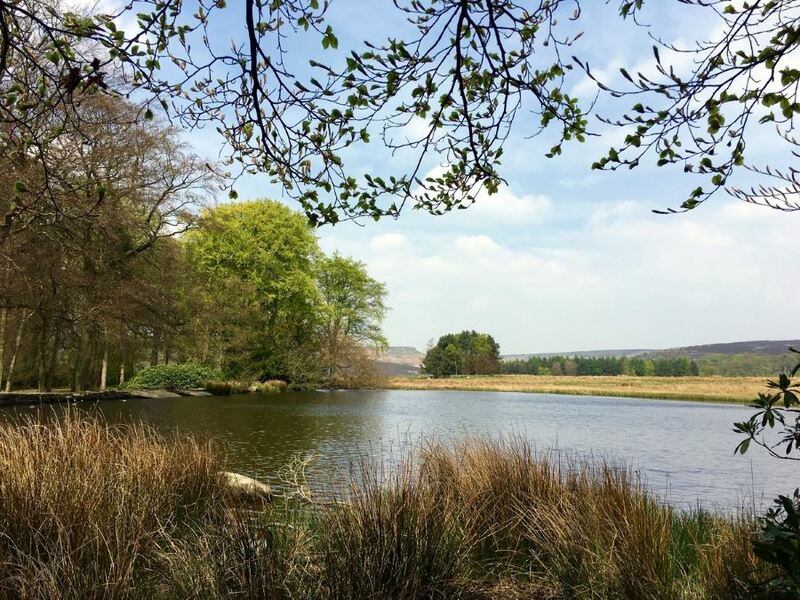 From here you can pick up the footpath across the Longshaw estate back to the pond and the Shooting lodge where you began. On a sunny day there is a little ice cream van that waits on the B5621 by Granby Barn. Pick up a 99 and relax by one of the brooks many pools. Consider a visit in May when Yarncliffe wood is covered in a beautiful blanket of bluebells. 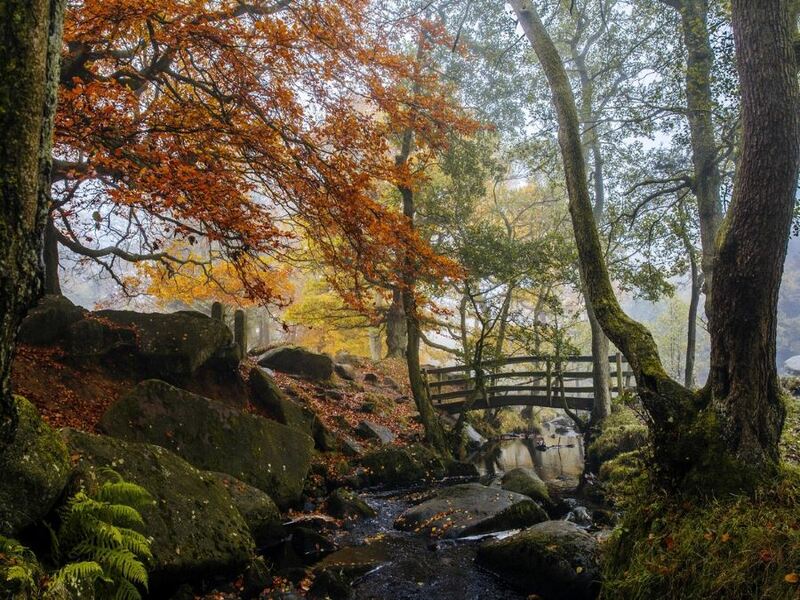 Padley Gorge is the best place in the Peak District to see Pied Flycatchers. These rare migratory birds arrive back to the UK from West Africa every April. You can also choose to park for free along the road by the Fox House. For public transport take the 272 Sheffield – Castleton or the 214 Sheffield – Matlock and alight at the Fox House.